I’ve been using Typinator for years now to expand content with a few keystrokes. Filling out a form is easy when I can type a few keystrokes and have my entire address filled in. I normally update my mac to the latest software on day one without issue. 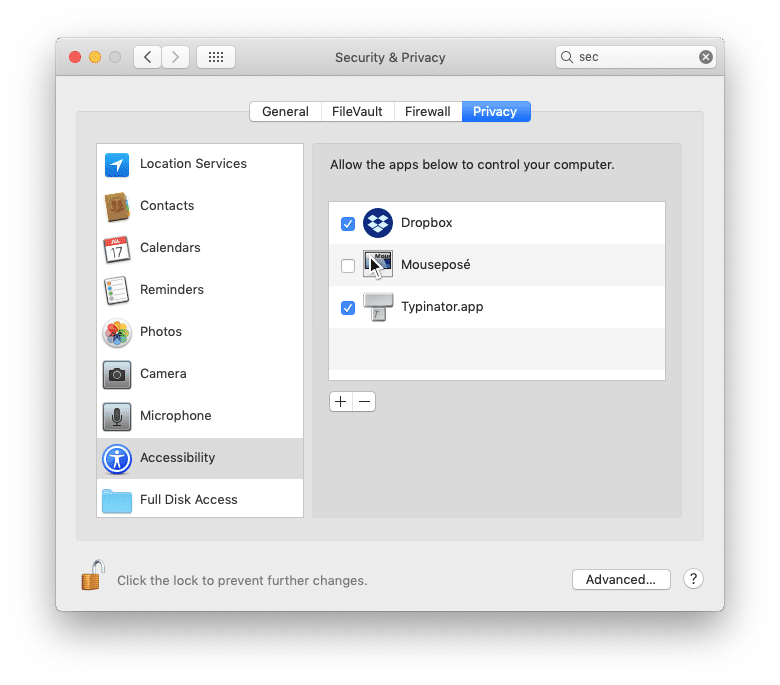 MacOS 10.14 Mojave was no different, except for a few small issues. Make sure to upgrade to #Typinator 7.7 on #mojave. If Typinator 7.7 does not expand, please read FAQ https://t.co/pxeFKwFyAc, to circumvent a bug in Mojave. In case of any other problems, please contact our technical support. Click the Privacy tab and select “Accessibility” in the list to the left. Typinator should be listed. Select Typinator in the list and click the “–” button to remove Typinator. Followed these instructions, including the restart of Typinator, and all is now fine. Thanks! I also had to restart my Mac, in addition to all of the above mentioned steps. It’s finally working again, praise the lord. You don’t even need to upgrade Typinator first. I just did the following with v. 5.9: Removed Typinator from the accessibility list, quit Typinator, added it back to the list, and relaunched the app. It’s now working fine again.